In the morning of 28 march Da Nang Customs, the Department of Environmental Police, Da Nang Port Border Guard Board and Central Region Anti-Smuggling Control Team investigated the cargo of a ship names SB Singapore. 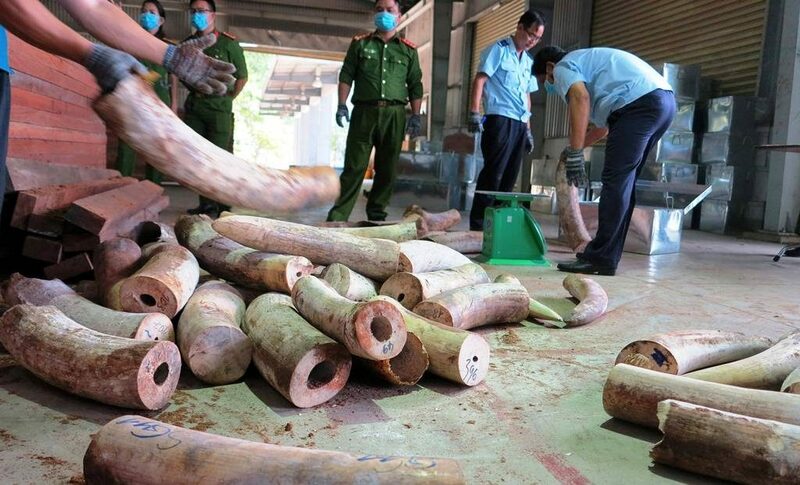 An extreme large amount of 10 tonnes of African ivory was found in the port of Da Nang in Vietnam. Inspections discovered 3 containers which were packed with rosewood. But instead of staples of wood, these were rosewood boxes stuffed with ivory. The wood and ivory was shipped form The Congo on 20th March. It was send to a registered company in Quang Nam. Environmentalist and local expert John Grobler has warned for this before. He knows exactly who is involved in the smuggling; Hou Xuecheng. 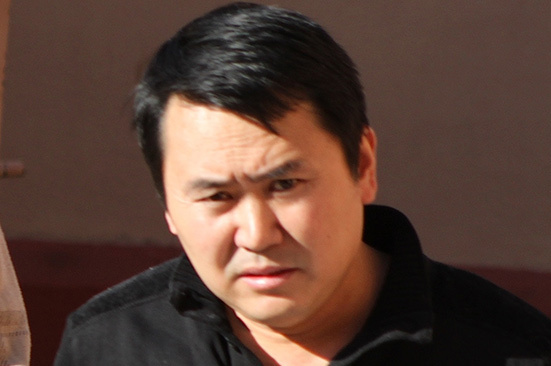 Hou (41), fellow Chinese citizen Sha Zhiwei, Indian national Rajaiyah Kumar, and Namibian Hamutenja Stanislaus Hamutenya were arrested in June 2014 after they had allegedly been caught dealing in ivory in Windhoek. Another Namibian, George Mashala, was arrested on the same charge at the end of July 2014. Court records reflect that Hou paid their bail on 9 September 2014. Hou has been free on bail of N$30 000 since 29 July 2014. Hou, Kumar and Sha are also charged with two counts of possessing controlled wildlife products without a permit. In respect of those charges, the prosecution is alleging that the three men were in possession of a cheetah skin and a leopard skin in Windhoek on 12 June 2014 without having the required permits to possess the skins. That they also had seven zebra skins, a pangolin skin, and a stuffed leopard head in their possession at China Town in Windhoek on 11 October 2014 without having permits to possess those wildlife products. Hou has also faced other legal difficulties in Namibia more recently. After Anti-Corruption Commission investigators seized two lorries and their cargo of timber – alleged to have been illegally logged in the Zambezi region – at Walvis Bay at the start of January. The close corporation New Force Logistics, through which Hou is doing business and which is the registered owner of the lorries, sued the ACC to have the vehicles and their cargo returned to it. It’s unbelieveble but this man is still roaming free and committing crime after crime. Bailing himself out of court, time after time. 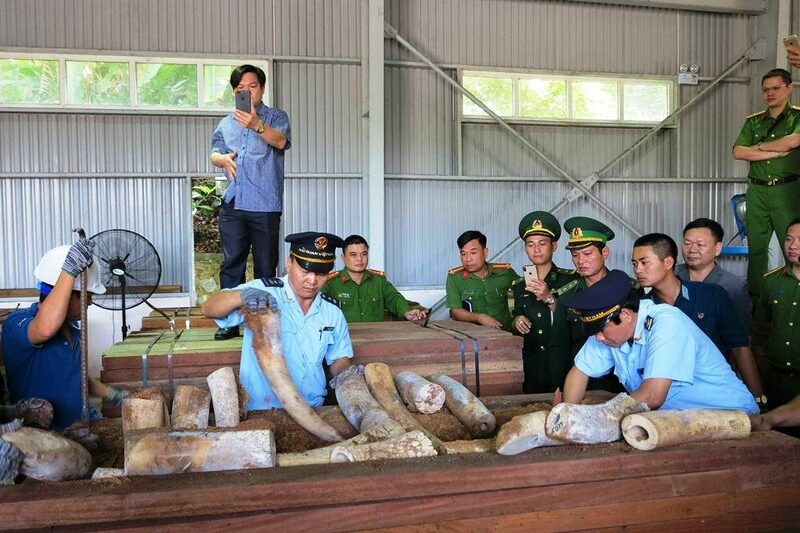 This is how African ivory is trafficked to Vietnam.